Charles Baudelaire Research Papers look at this modern poet as the father of modern criticism. Charles Baudelaire was born in Paris in April 9, 1821. His father died when Baudelaire was six, and his mother remarried. Baudelaire initially had a good relationship with his mother only. He was an irresponsible and hard-to-control youth, and his trust funds were taken out of his control shortly after his twenty-first birthday. Baudelaire was an urban poet interested in the city life. He worked in Paris, producing collaborations, criticism, poetry and translations. He felt particularly akin to the works of Poe, whom he translated and introduced to European audiences. His major work, Flowers of Evil, was considered scandalous and he was prosecuted by French authorities. His criticism was limited to brief reviews. He began to publish prose poetry in 1860, his first volume appearing in 1862. In the same year he suffered a minor stroke, and four years later, he suffered from aphasia and hemplagia, lost the ability to speak and was returned to Paris where he died in 1867. 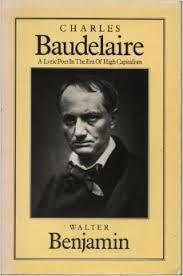 Baudelaire was called the first modern poet and the father of modern criticism. He was at first considered a scandalous writer who used indecency to shock people. He was brought to trial with Flaubert in 1857 for offending morals. His ability to use detailed realism within the context of universal symbolism, the musical form of his verse and his use of imagery and suggestion made his the grandfather of Symbolism and, according to T.S. Eliot, the master of modern poetry. In “To The Reader,” Baudelaire implies that all human beings, including himself are caught in the devil’s trap of indifference, of lack of will. The devil creates an impasse of action within human beings that keeps them from either acting out good or evil. The devil takes away from humans their faculty of choice, that which makes them human to begin with. Therefore, it is not sinning, or doing evil that is the worst fate, but choice of doing nothing at all. The vices of urban life cannot penetrate the inertia of the sickest minds. This inertia is created by boredom, ennui, of both the poet and the urban sophisticate. Bored by vices which have usurped anything beneficial, the poet and his counterparts are left with nothing as a stimulus. The poet deems those that avoid voices even worse than those no longer amused by them, because they are hypocrites, thinking that they are better than those swept up in corrupted lives. This is to whom he directs the poem, although it seems it is to those engulfed in sin. Dylan Thomas - Research papers on Dylan Thomas examine the Welsh-born poet, beloved by readers both during and after his brief life. The Waste Land - The Waste Land Research Papers discuss a poem that describes the state of civilization in Europe after World War I.